Outstanding flexibility and performance with many standard features; ideal universal replacement indicators for whatever you weigh or count. Technician-friendly set-up and Sustained Accuracy™ make these ideal for new installations or field replacement using existing platforms or load cells. Wide range of standard optional features. Ship pre-matched when ordered with any Pennsylvania base or platform. 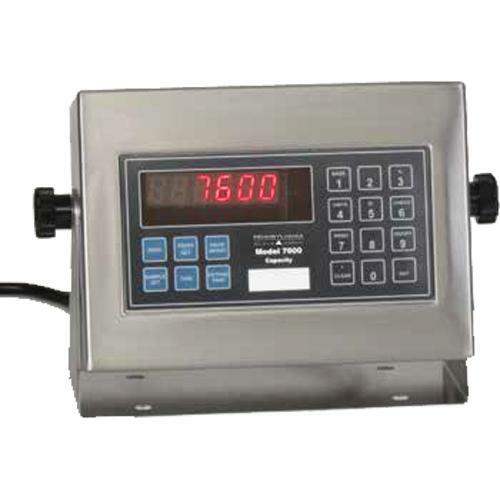 Whatever you count or weigh, a new, technologically-advanced 7500 or 7600 series digital weight indicator will exceed your expectations.